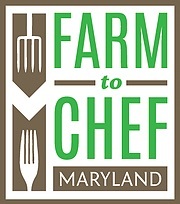 Grow & Fortify is again sponsoring the Annual Farm to Chef event in Baltimore. The event will be taking place at the B&O Railroad Museum on Monday, October 2nd. This gives you great exposure to top restaurants interested in local products as well as an opportunity to promote your wine to 300+ food enthusiasts in the Baltimore & surrounding area. Farm to Chef is Maryland’s most unique and exciting experience for food & drink enthusiasts. At the annual event, 30 of Baltimore’s most talented chefs will partner with local farms to create innovative recipes for 300 plus food enthusiasts. This one-of-a-kind event, designed to highlight the local talents of Maryland’s chefs and the bounty of our local farms, is the annual fundraiser Taste Wise Kids a hands-on program that provides elementary school children with an introduction to the basic elements of taste, the importance of fresh food, and teaches them how food travels from farm to table. We are in search of distilleries who wish to be featured. 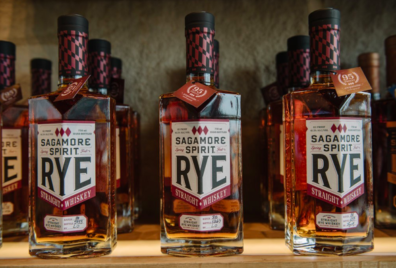 Featured distilleries receive 2 tickets to the event, one of which should be someone who is committed to pouring and representing the featured distillery. Distilleries will be asked to donate 3 cases (6-packs) of the agreed upon spirit and a donation of 2 bottles (your choosing) for the fundraising raffle. We’ll need to know your spirit selections by mid July (seems early, I know, but they do beverage-food pairings well ahead of time). Since this is a farm to table event, locally grown beverages are encouraged. There are only 5 distillery spots available. Please express interest below and Lauren will draw 5 names randomly for invitation to the event.